Fire legislation in many countries now states any power supply performing a mandatory function of a fire alarm system must be approved to EN54-4. C-TEC's VdS certified switch-mode power supplies were the first to hit the UK market and are fully compliant with EN54-4 making them ideal for controlling beam detectors, auto-dial communicators, aspirating smoke detectors, electromagnetic door holders, ventilation systems and more. 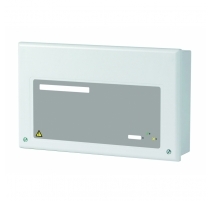 The range comprises 1.5A, 3A and 5A 24V units and a 2A 12V unit. A comprehensive range of non-EN54 certified 12V and 24V PSUs is also available for non-mandatory fire and other life safety applications. Together, the two ranges combine to make C-TEC's power supply offering one of the most comprehensive in the industry. C-TEC's EN54-4 certified switch-mode power supply units offer low current consumption, deep discharge battery protection, a single pole volt-free changeover relay, battery impedance monitoring and link-selectable battery charging capacity. 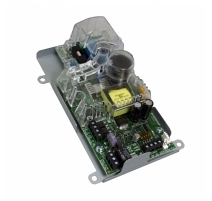 Five VDS certified versions are available, four 24V models rated at 1.5A (two types), 3A and 5A, and a 12V 2A model which has an optional STU mounting plate for auto-dial applications. Optional 'Caged' and 'PCB-only' PSUs with exactly the same electronics are also available. In addition to our popular EN54-4 certified power supplies, C-TEC manufactures a multitude of alternative PSUs that are suitable for use in applications ranging from access control, CCTV, security, nursecall and hearing loop systems. Our standard 24V units are rated at 250mA, 1A, 2A and 3A whilst our 12V units are rated a 250mA, 1A and 3A. Choose from PSUs supplied in tough anti-tamper metal enclosures to PSUs supplied on a compact double gang plate - all designed with peak performance in mind. All life safety systems require a good quality standby battery supply. Whether it's a fire panel, power supply, disabled refuge controller or even a third-party piece of equipment, our range of VRLA batteries can provide the power you need. Power Supplies There are 2 products.